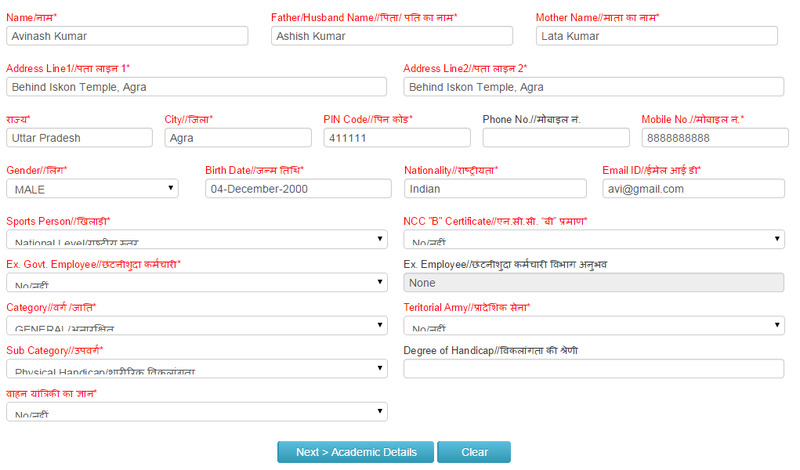 Disclaimer : This is not the actual Online Recruitment Exam Portal. This webpage depicts exemplary contents of the recruitment information page on the recruitment exam website and is meant only for the purpose of getting to know the actual Online Admission/Recruitment process. The online Application system is very flexible and scalable. New fields can be added and removed easily and the field structure and sequence can also be altered. The application forms can be immediately scaled up to add more levels of information in no time. 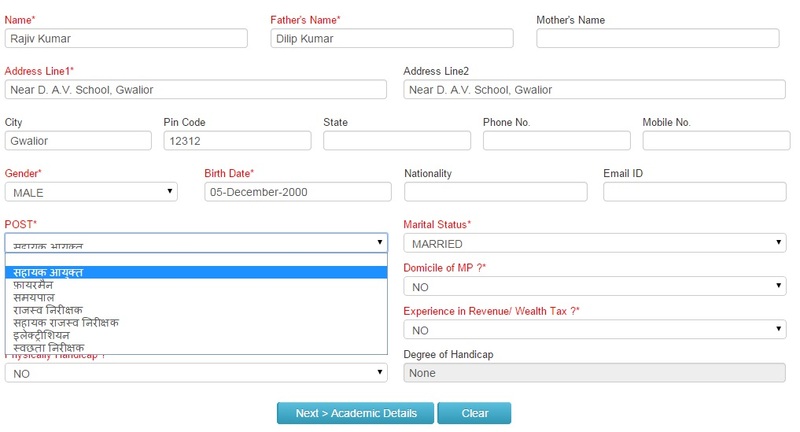 So if we need to add a separate section for academic information besides the basic candidate information or if further we want to add more sections for job experience or computer skills, then it can be done easily. 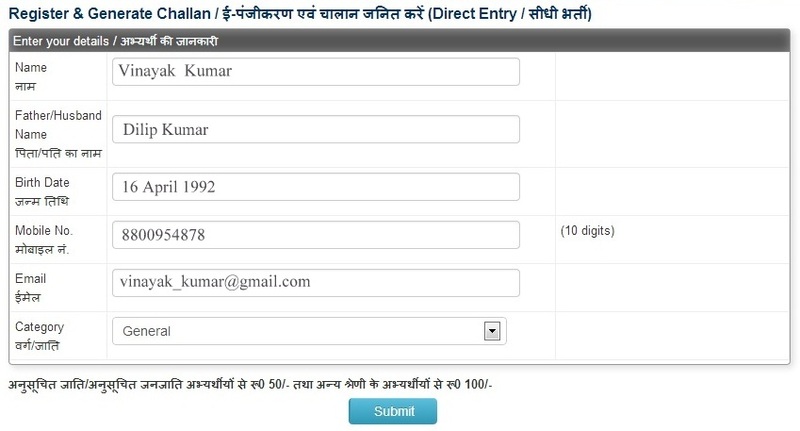 The Application form interface is bilingual and very light to load on any internet connection. On passing the first stage of application process, an application record is created in the application system and this record can be accessed later to edit or complete the application incase the applications is lost in between. Following are some screenshots of some application forms in step by step sequence as they were implemented by different examination bodies. Click on the below given images to enlarge.